On the 21st (Sat), glide through natural beauty at Levi Ski Resort. Get ready for a full day of sightseeing on the next day: hit the slopes at Pallas-Yllastunturi National Park. To find traveler tips, where to stay, ratings, and more tourist information, refer to the Levi trip itinerary maker . Riga, Latvia to Levi is an approximately 12.5-hour flight. You can also drive. While traveling from Riga, expect little chillier days and much colder nights in Levi, ranging from highs of -6°C to lows of -15°C. Wrap up your sightseeing on the 22nd (Sun) early enough to travel to Inari. Kick off your visit on the 23rd (Mon): make a trip to The Sami Cultural Centre Sajos, then take in the architecture and atmosphere at Pielpajarvi Wilderness Church, and then examine the collection at Siida. For photos, more things to do, and tourist information, go to the Inari trip planner . Traveling by flight from Levi to Inari takes 3 hours. Alternatively, you can drive; or take a bus. December in Inari sees daily highs of -7°C and lows of -17°C at night. 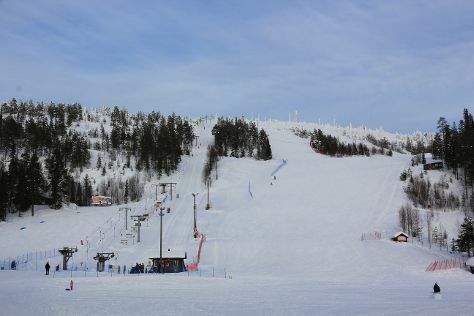 Cap off your sightseeing on the 23rd (Mon) early enough to travel to Salla. Salla is a municipality of Finland, located in Lapland. On the 24th (Tue), fly down the slopes at Salla Ski Resort and then get a taste of local nightlife at Salla Museum of War & Reconstruction. To find photos, maps, traveler tips, and tourist information, read Salla day trip app . Traveling by car from Inari to Salla takes 4.5 hours. In December, plan for daily highs up to -7°C, and evening lows to -16°C. 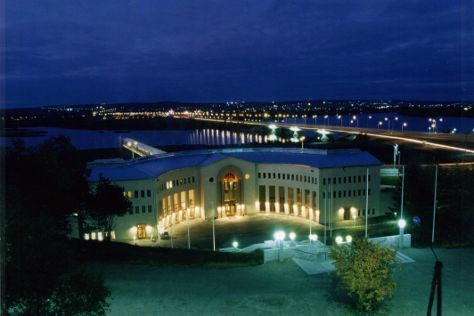 Wrap up your sightseeing on the 24th (Tue) early enough to travel to Rovaniemi. You'll explore and learn at Arktikum and Pilke Science Centre. Kids will appreciate attractions like Santa Claus Village and Feelapland. There's lots more to do: get in on the family fun at SantaPark - the Home Cavern of Santa Claus, see Santa Claus Office, pause for some serene contemplation at Rovaniemi Church, and don't miss a visit to Lordi's Square. For other places to visit, reviews, and more tourist information, read our Rovaniemi trip itinerary builder . Getting from Salla to Rovaniemi by car takes about 2 hours. December in Rovaniemi sees daily highs of -6°C and lows of -13°C at night. Finish your sightseeing early on the 27th (Fri) to allow enough time to travel back home.